We may as well put it out there before we go any further, we packed WAY too much stuff for Central Asia. When it came to catering for a temperature range between -30ºC and +35ºC, we were completely overwhelmed. 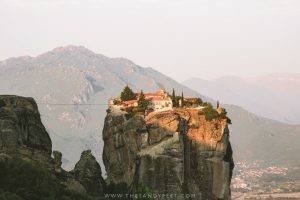 We would be visiting modern cities that would be sweltering in the peak of summer, hiking for days at a time, need to be prepared for freezing temperatures at altitude and able to dress modestly enough to be welcomed at any sacred site. Then there were the big questions, like should we bring our camping gear? Exactly how cold would it be in the mountains? How many pairs of shoes are too many pairs of shoes? Although we had far more than we needed, we were certainly prepared for every eventuality. 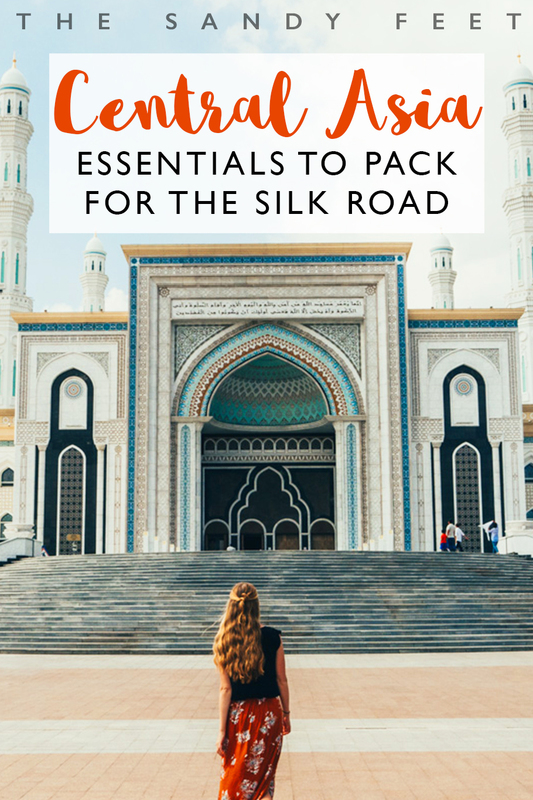 If you’re planning a trip of your own along the Silk Road, our packing guide to Central Asia has you covered for all the essentials, whether you’re here for the mountains or the monuments. 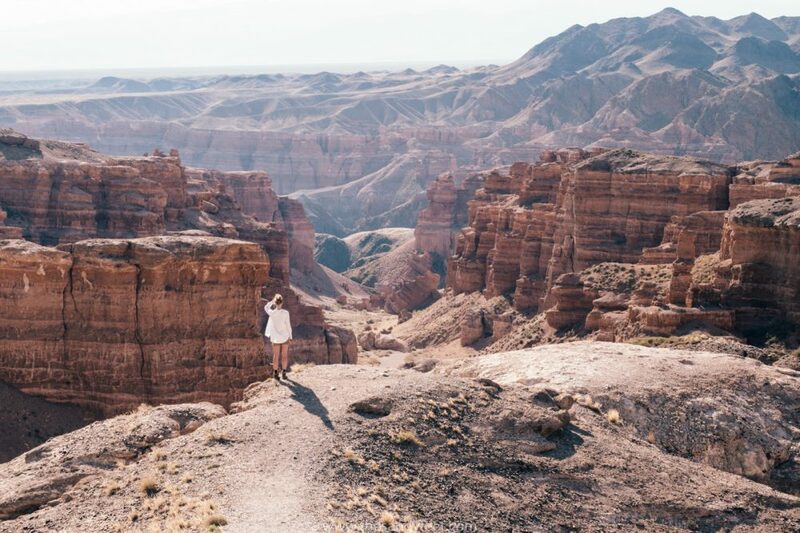 If you’ve come to Central Asia in search of adventure, chances are you’ll be spending plenty of time outdoors. 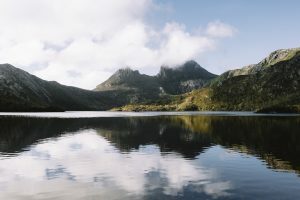 Whether you’re just going for a day in the countryside or planning a multi-day trek high up in the mountains, the weather can change in an instant. High quality, warm and weatherproof layers are key. There’s nothing worse than getting your shoes wet in the first few hours of a hike and having to spend the next 4 days trekking with soggy feet. Snow, dodgy river crossings or just a deluge of rain are all possibilities in the mountains so be sure your footwear is up to the challenge. Our current favourites are these LOWA Renegade Boots and SCARPA Cyrus Mid Hiking Boots which both use Gore-Tex technology. Check reviews and prices of these hiking boots for him and her, here! Between all our hiking trips in Central Asia, we experienced torrential rain, howling gales, hail and even a small blizzard. You really need a jacket that can withstand whatever the weather decides to throw at you, especially at altitude. Chris is a big fan of his Haglofs outer shell which is Gore-Tex, lightweight and durable, in combination with a wool hoodie for colder temperatures. While Freya has been carting around her much-loved Berghaus jacket for almost a decade. This one is a similar style, is super lightweight for hiking and folds down nice and small for when the weather stays dry. Check reviews and prices here for these waterproof jackets from Haglofs and Berghaus here. 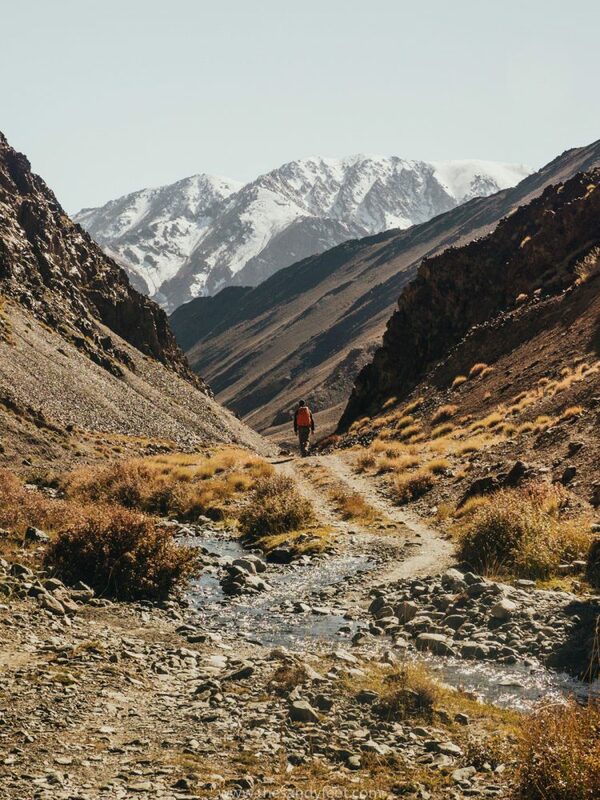 In case you are yet to discover the joys of merino wool and its odour resistant properties, it’s pretty much the go-to item for outdoorsy folk and is certain to keep you warm and a whole lot less smelly when you’ve been on the trail for days without a shower. It’s the perfect fabric to form your baselayer in colder climates and for the days you’ll be wearing the same thing over and over again. Check reviews and prices for these merino wool tops for him and her, here. Merino wool socks, like these Darn Tough ones, are also a good idea and are comfortable for hiking but also warm when the temperatures plummet. 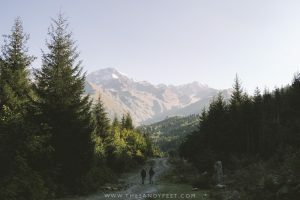 After much deliberation, we ultimately made the decision not to bring our camping gear to Central Asia and for us, this was easily the right choice. 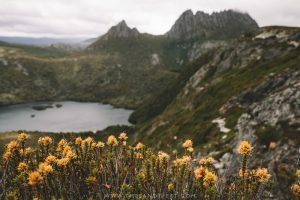 If you’re planning a number of multi-day treks and prefer to keep your expeditions entirely independent, you’ll be better off bringing all your gear with you. 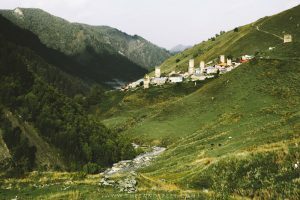 In places like Bishkek and Karakol, you can rent adequate camping and cooking equipment, but if you’re an experienced trekker, you’ll likely be somewhat disappointed with the quality. 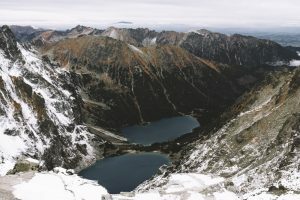 Other essentials for the outdoors include lightweight and durable hiking pants or shorts, t-shirts, a swimming costume for all those hot springs and a warm down or fleece jacket for the chilly days and nights. 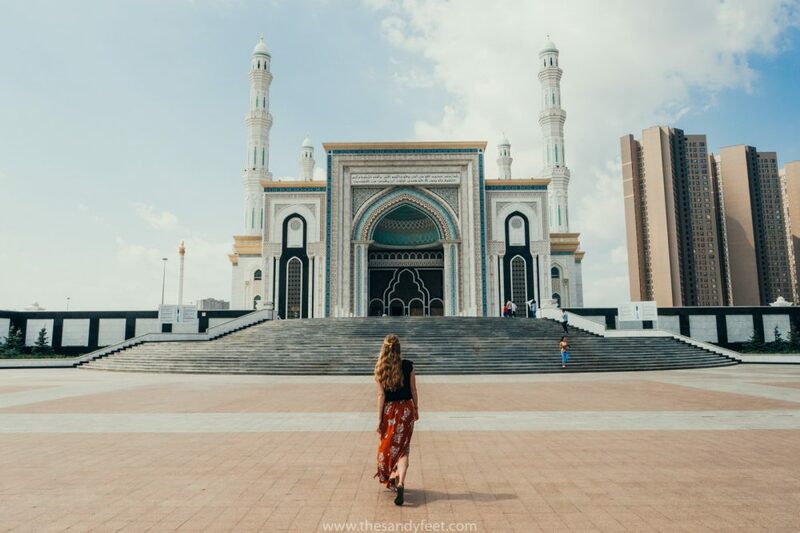 As much as the focus of our trip was exploring the mighty Tien Shan and roadtripping through the Pamirs, we also spent a fair bit of time pottering through the winding alleys of Uzbekistan’s Silk Road, and eating our way through the region’s capital cities. There’s nothing that makes us feel more self-conscious than being those daggy tourists in head-to-toe khaki while wandering a modern city, so don’t forget to pack some city appropriate clothes as well. Also, consider the season you’ll be travelling in as climates vary from sweltering to snow-covered. Ladies, remember to include a few modest pieces as well. While places like Almaty, Astana and Bishkek are pretty liberal when it comes to dress, most of Tajikistan and Uzbekistan, as well as more rural areas in all countries, are far more conservative. Accessories: Sunglasses, scarf or colourful sarong (for covering shoulders or hair at religious sites, shielding yourself from the sun or keeping warm on overnight train trips). Aside from the obvious things like a toothbrush and toothpaste, these are a few other essentials you might want to consider adding to your toiletry bag or first aid kit. Even if it’s not particularly hot, the sun can be strong at altitudes, especially if there’s reflective snow and ice. Always wear suncream when out and about, ideally SPF50, whether you’re in the mountains or city streets and if you’re considering tackling an expedition to Peak Lenin, a zinc stick may also be a good idea. You’ll soon discover the local stuff is like sandpaper, if it’s available at all. Take a roll of the cottony soft stuff just in case. Great lightweight alternatives to the stuff in a bottle, solid shampoo and conditioners also last for ages, smell delicious, reduce your plastic consumption and you’ll never have to worry about shampoo explosions again. We’ve been trialling these Lush bars, but have also heard great things about these alternative options from J.R. Liggett’s and Ethique. Jump on the #zerowaste bandwagon and check out the awesome reviews and prices for these shampoo bars from Lush, J.R. Liggett’s and Ethique. Whether you have a case of the runs, a raging hangover or just haven’t had enough water that day, rehydration salts are great for helping your body rehydrate rapidly. We always travel with these effervescent electrolyte tablets and use them on a regular basis when hiking or as a pick-me-up at the end of an exceptionally hot day. Check prices and reviews for Hydralite here! For some, travellers diarrhoea is pretty much just part of the experience in Central Asia and, though it was something we rarely suffered from, nor generally take medication for, when you’re at 5,000m+ altitude, sharing a tent with a complete stranger and its snowing outside, you’ll want to be able to keep your bowel movements in check. 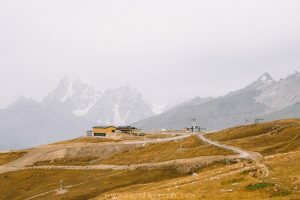 With a huge chunk of Central Asia rippled in glistening peaks, that means plenty of ridiculously bumpy and winding roads with (more often than not) a reckless madman behind the wheel. If you’re prone to motion sickness, you’ll want to be prepared on every trip you take. We always have tablets on hand (though they do make you drowsy) and perhaps a plastic bag, just in case. 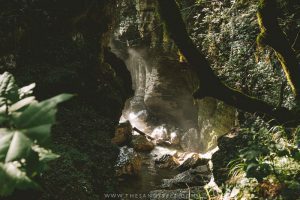 With all the epic sights you’ll be seeing, you’ll want to carry a decent camera that can withstand the conditions. 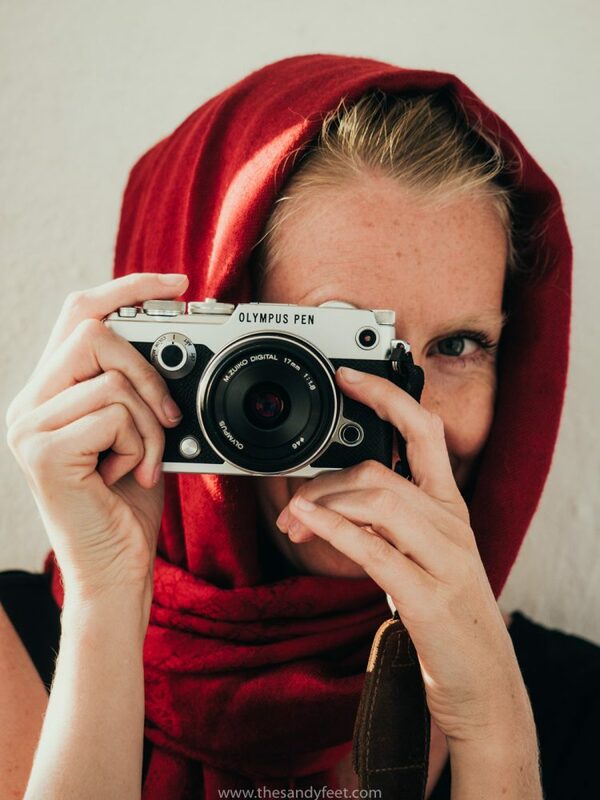 For this trip, our favourite combination was the Olympus OMD-EM1 Mkll and the M.Zuiko 12-100 F4 IS PRO which is very versatile and great for capturing both landscapes and close-ups, and is weather sealed meaning freezing temperatures, dust storms and unexpected downpours were no problem. 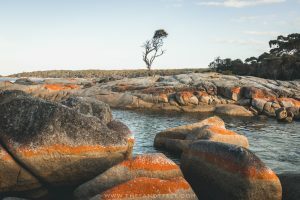 For the full range of camera gear that we carry, read this post. These days our smartphones are our map, alarm clock, journal, radio, calendar, torch and library to our beloved audiobooks and podcasts. If we’re going to be away from electricity for several days, especially in the mountains when having a map is crucial, it’s something we’d rather have a little extra power for, if only for emergencies. This Anker Portable Charger has got us out of many a tight spot as our battery drained far too quickly toward zero. Check reviews and prices here! Travel in Central Asia means plenty of long, uncomfortable bus rides and limited wifi. Aside from practical apps like Maps.Me (the best offline map of the region), our Expense Tracker and Russian Translator, we loaded our phones with entertainment like Playlists, Podcasts or our new favourite, Audible, which has a huge range of audiobooks available. Sign up for a free 30-day trial now and receive any two complimentary audiobooks of your choice. This was a new item we added to our bags just days before the trip to Central Asia and it’s something that we probably got the most use out of. This handy little device uses UV light to purify water in just 90 seconds. 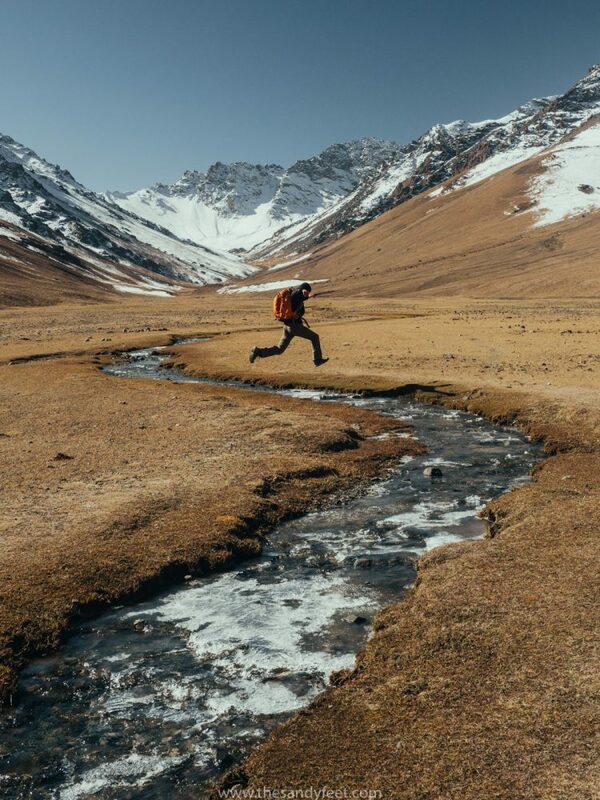 Though tap water is generally drinkable in Central Asia, when you’re hiking or camping, you want to be able to purify the water you find along the way. We used to always travel with purification tablets, but after having them either expire or get doused in shampoo, we’ll happily be using the SteriPen from now on. Check here for the latest reviews and prices! All powerpoints in Central Asia use the double prong European plugs, but currents are very inconsistent in some areas and power surges do happen. In Ishkashim, a small village in the Wakhan Valley, one bright spark decided to play electrition for the day and blew out the power from half the town, including fizzling one of our laptop chargers and USB converters. Though we always travel with a universal adapter with a built-in surge protector, we had stupidly neglected to use it on this day. It might seem like just another annoying thing to carry around, but they’re a cheap accessory to add and using it routinely could end up saving you a few hundred bucks down the track. Better to be safe than sorry! Check the latest reviews and prices for these adaptors here. Honestly, we’re still on the search for the perfect daypack. 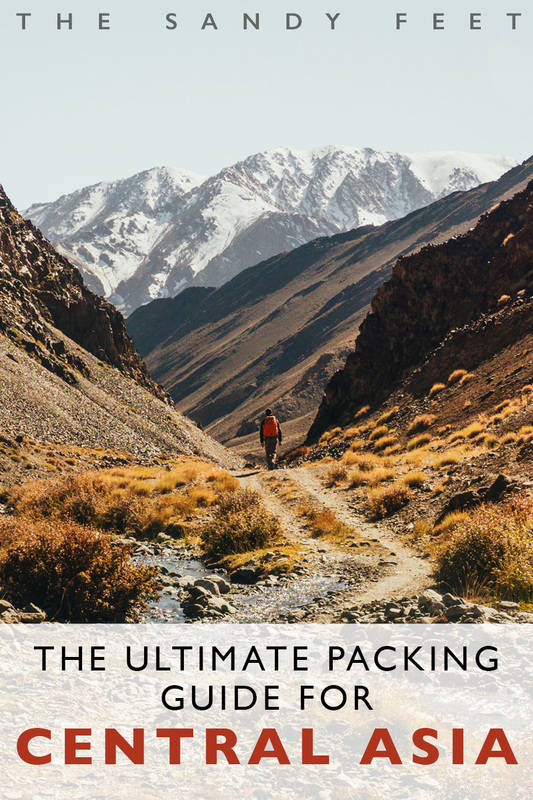 Ours are either exceedingly uncomfortable when overfilled or just that tiny bit too small to fit absolutely everything in that we want to carry. 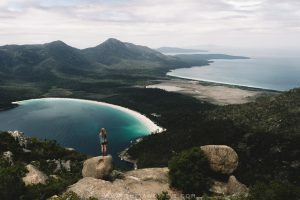 These two hiking daypacks from Osprey and Deuter come highly recommended though and are ones we are keen to test out. Instead, fill up a reusable bottle on the go and purify the water when you have to. We use stainless steel bottles from Klean Kanteen and Mizu. Check prices for our favourite reusable water bottles here. 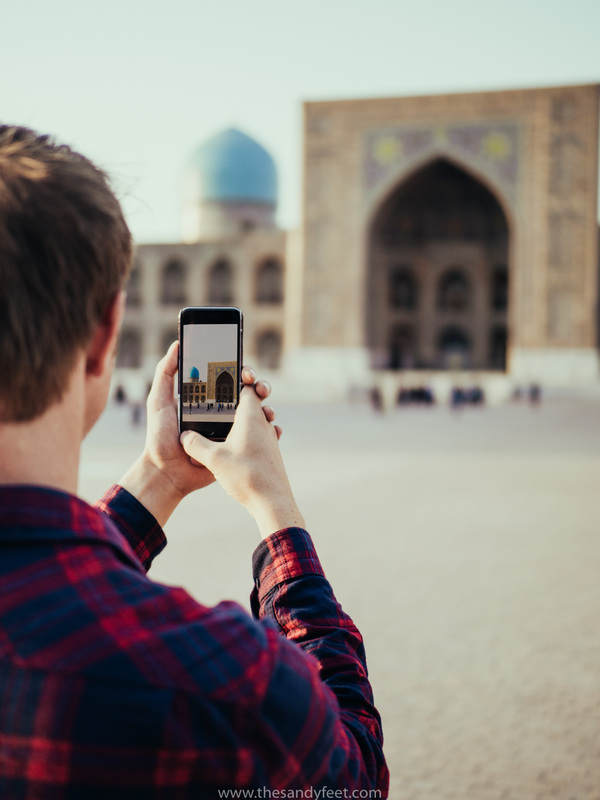 For many parts of Central Asia, there isn’t a great deal of up-to-date or correct information on how to get around, and for the rest, you might not have an internet connection to check. 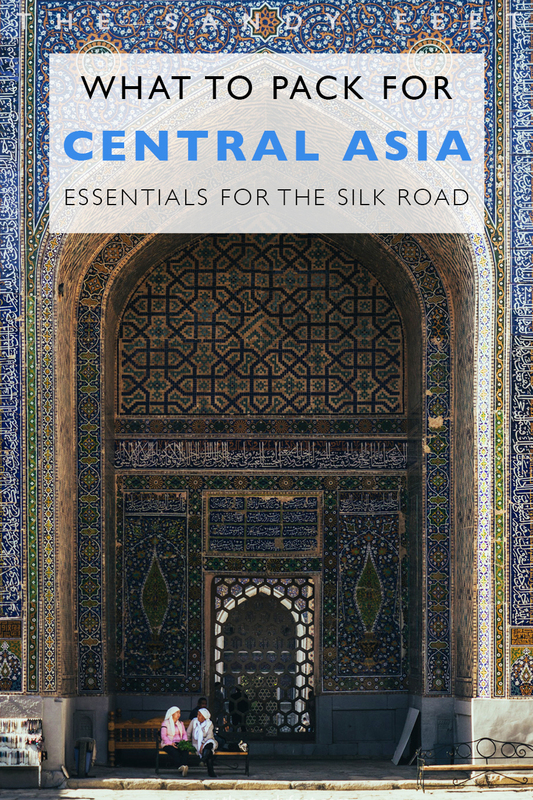 A guidebook to help you on your way is an essential travel accessory for the Silk Road and we are so happy to announce that the new Lonely Planet for Central Asia is finally available. Check prices of the new Lonely Planet Travel Guide here! Just focussing on one country? Bradt publishes in-depth guides for each country and has a good reputation among travellers we met. Check their available guides to the region here. Though the reigns in many Central Asian countries are loosening incrementally, one small upset could mean the difference between being stuck in no man’s land between country borders for days or being forced to pay a hefty bribe, and making it hassle-free from country to country. Always have all your paperwork ready and in order! 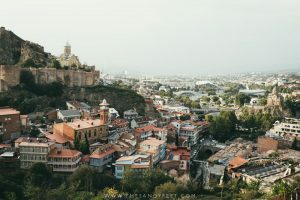 If you’re travelling through multiple countries ensure you have enough blank pages in your passport left for visas (you can read our mini visa guide here), bring several passport-sized photos and print out any visa paperwork you might need along the way. 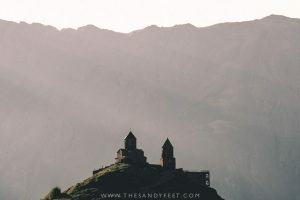 We found handling money in Central Asia f much easier than we had expected, but we would recommend always having a backup of USD – smaller bills are best as $100 notes are not accepted in some places – and a VISA card as many ATMs we encountered didn’t seem to accept Mastercards. 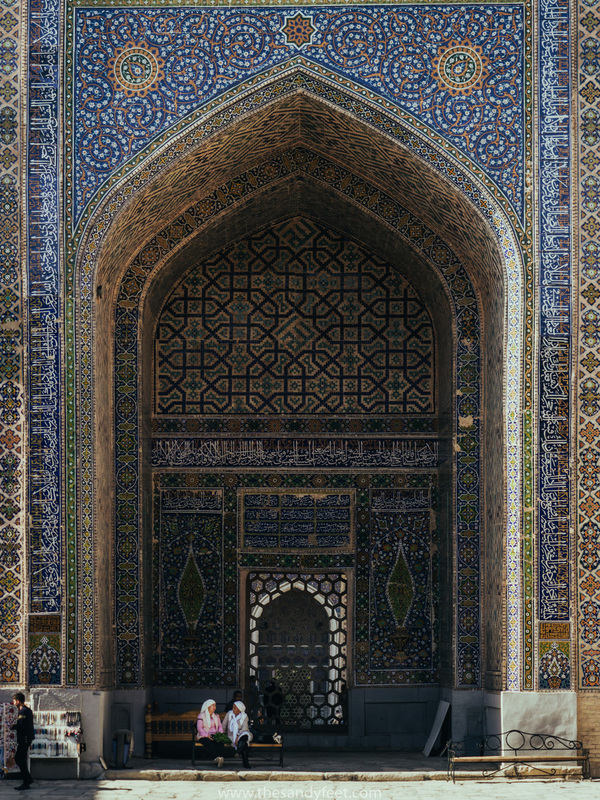 Read our Beginner’s Guide To Travelling In Central Asia for more tips on handling your money.